Anuenue Juice Bar & Café provides a high-quality healthy food option in out brand new location at 844 Front Street in Lahaina Maui, Hawai’i. Our menu items are fun, easy, affordable and delicious! We proudly create fresh juices, smoothies, snacks & salads that boost our customer’s nutrition, by offering items that fulfill our daily recommended fruit and vegetable intake. We utilize local farmers and vendors, decreasing product cost while increasing quality and freshness. 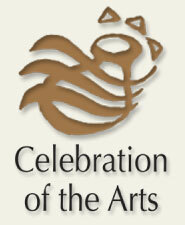 In addition we are creating sustainability and relationships with other businesses and members of our community. We seek talented & ambitious team members from our community to share in the rewarding experience of our establishment. We practice the Hawaiian way of Aloha and Pono in our workplace, maintaining a fair, challenging and fun experience for each member of our team. 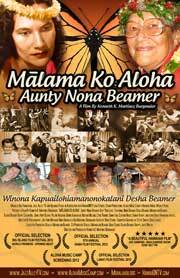 Aloha embodies affection, compassion, peace & mercy. Pono is a triad of respect. Authentic respect paid to our fellow human beings, our land and our higher power whatever that may be for each individual. 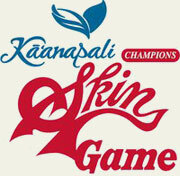 We provide on-going training and team-building activities. 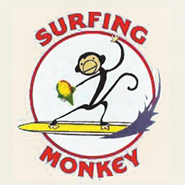 We provide a happy, healthy & fun environment for our island’s visitors and our locals equally. We provide a friendly place to relax, meet with friends or to grab a nutritious snack on the go. We offer a safe & fun place for our teens to “hang out” while enjoying nutritious snacks. We offer community events monthly to stimulate curiosity and increase awareness of proper nutrition. 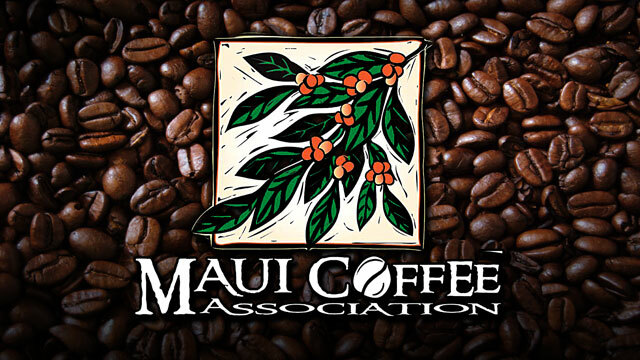 We financially contribute to the Coalition for Drug-Free Lana’i, by having monthly fund-raisers. We share our passion for nutrition, vibrant health & happiness every day, in every way. 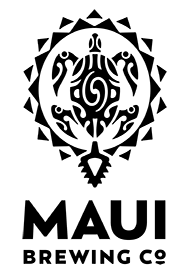 Click Here to visit Anuenue Juice Bar’s Website! 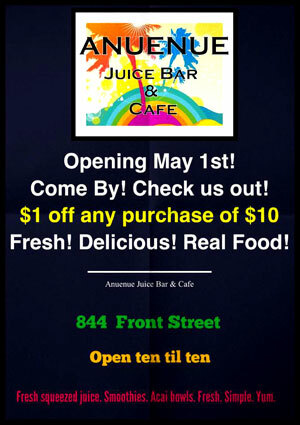 Click Here to LIKE Anuenue Juice Bar on Facebook! Anuenue Juice Bar – Get Your Fresh Squeeze Here at our NEW LOCATION IN LAHAINA! 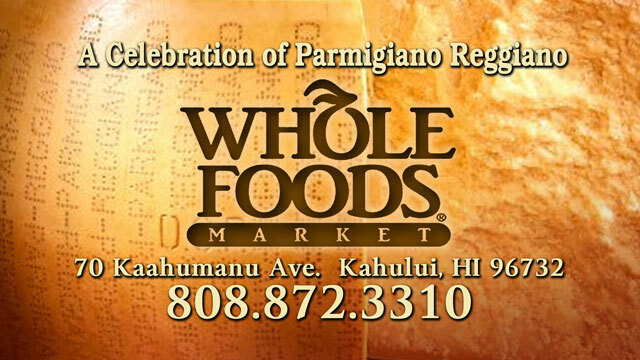 Whole Foods Maui – 3 Year Anniversary Celebration! Whole Foods Market just celebrated 3 years on Maui with their Birthday Bash, full of great food, good fun, ALL organic and natural. As part of Whole Foods’ commitment to providing customers with the highest-quality natural and organic products, as well as giving back to the communities in which it works, we strive to support Hawai‘i’s agriculture and cultivate relationships with local growers. 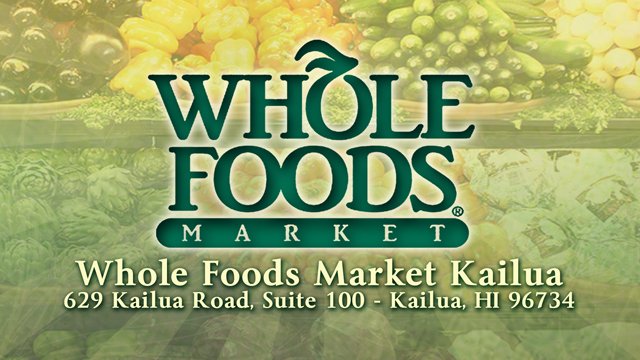 Currently, Whole Foods Market Maui carries a variety of products from around the state including, produce, flowers, grocery items, beauty and specialty products from around the Islands. 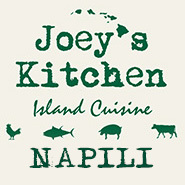 More than 205 Hawai`i producers supply their products to Whole Foods Market’s Kahala and Kahului stores. 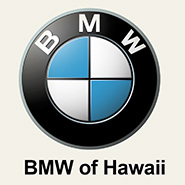 Of these 205 producers, 60 are located on Maui. 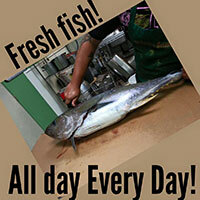 Also, of the more than 60 Hawai`i farms that supply Whole Foods Market, 28 are located on Maui. 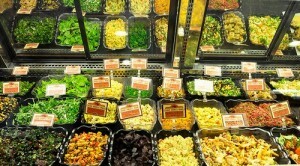 Visit Whole Foods Maui’s Web Site! View Pictures of the Birthday Bash HERE! 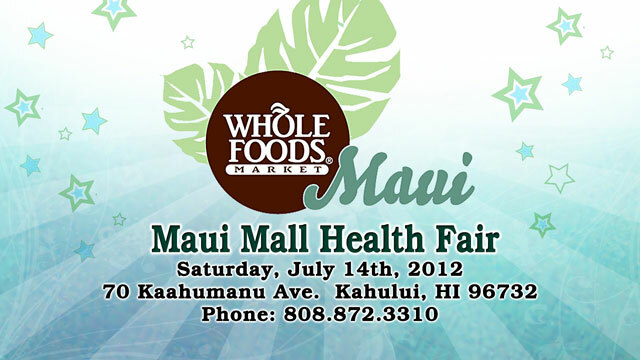 Whole Foods Maui was part of a fun afternoon focused on health and wellness. Events included healthy cooking demos, free Health Starts Here recipes as well as an opportunity to meet local health professionals, nutritional educators and so much more. 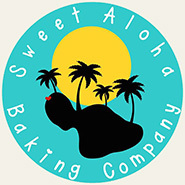 Aloha Deli is located in Kawaihae at 61-3642 Kawaihae Road below the Seafood Bar near the Mauna Kea Beach Hotel, Hapuna Prince Hotel, and beaches and parks along the Kohala Coast. 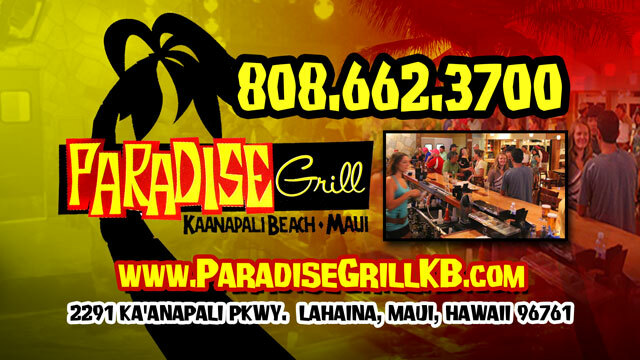 Listed below are just a few favorites on our extensive menu that are served daily. We offer breakfast and lunch from 7:00am to 4:00pm on Monday through Friday. 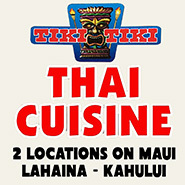 We specialize in Local Favorites, American, Continental, and Asian Cuisines. 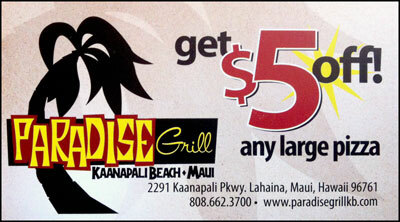 In addition to our regular menu, we also offer daily specials. 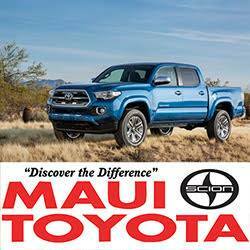 Please call 808-880-1188 for details. BREAKFAST – FULL MENU SERVED ALL DAY, BURGERS, SALADS, ENTREES, SANDWICHES, DESSERT, SPECIALTY DRINKS & OTHER TREATS – SMOOTHIES, SHAKES, SODA FLOATS, SHAVE ICE & ICE CREAM. 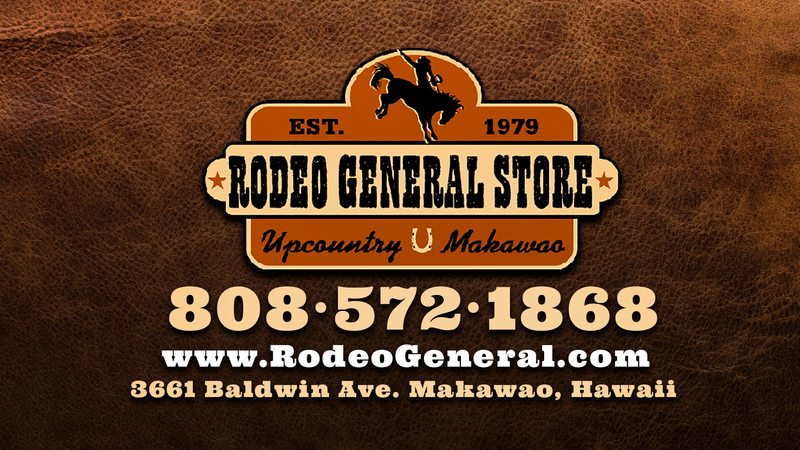 We are a family owned and operated business that take pride in customer service. Food and beverage has been a big part of of lives throughout the years and seeing someone with a familiar face walk into our restaurant day to day give us a sense of wanting to to do more for our customers. 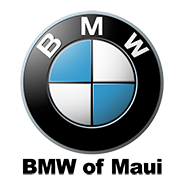 We look forward to seeing you and giving us the opportunity to serve you whether you’re visiting the island or if you live here on the island. We offer a wide selections of local & gourmet dishes on our breakfast and lunch menu that is sure to satisfy your cravings. Beside our menu, we offer everyone’s favorite selections of ice cream, gelato, and sorbet flavors made locally here on the Big Island of Hawaii by Tropical Dreams Ice Cream. 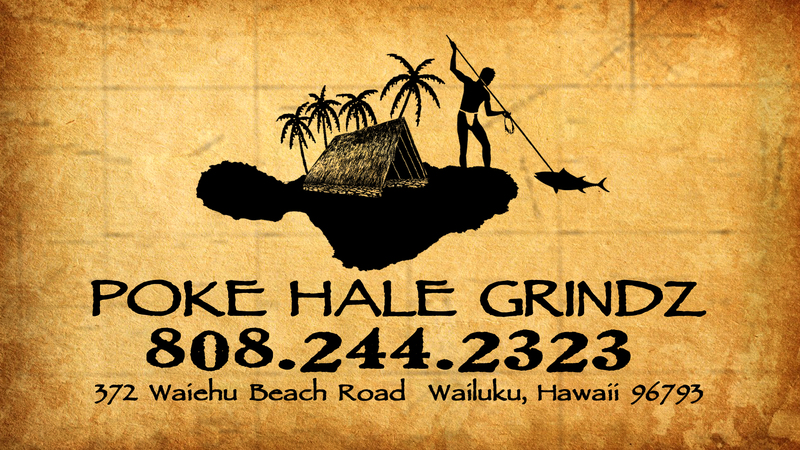 We look forward to seeing you at Aloha Deli Ice Cream & Shave Ice which is located at 61-3642 Kawaihae Road on the Kohala Coast of the Big Island right below the Seafood Bar across from the Kawaihae Harbor. 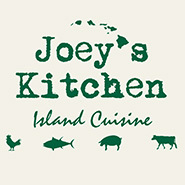 If you’re planning on visiting the north side of the island along the Kohala Coast, stop by for breakfast, lunch, and/or for a scoop of our popular Tropical Dreams Ice Cream served by the cone or in a bowl topped with our popular rainbow shaved ice. 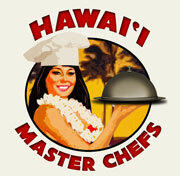 Click Here to Visit Aloha Deli’s Website!